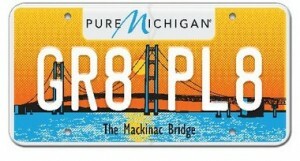 MICHIGAN — There may be a new license plate option for drivers in the state of Michigan. On Wednesday, Mothers Against Drunk Driving showed their support for a bill that will help raise money to fight against drunk driving. The bill, presented by Senator Tonya Schutmaker, would help pay for MADD services to drunk driving victims and advocate for stronger laws, according to a release. Mothers Against Drunk Driving was founded in 1980 by a mother whose daughter was killed by a drunk driver. Organizers said it’s the nation’s largest nonprofit working to end drunk driving, help fight drugged driving, support the victims of these violent crimes and prevent underage drinking. The Michigan State Police are planning for a productive holiday season – stopping, testing, and arresting drivers that are over the limit. Authorities increased the numbers of officers on the road in 26 Michigan counties, which started on Black Friday and will continue throughout the holiday season and into the new year. The crackdown is called “Drunk Driving. Over the Limit. Under Arrest.” You can count on police officers having a significant presence, lying in wait and ready to stop and test any driver that is exhibiting driving behavior that could be the result of alcohol or drug intoxication. Planning ahead for holiday parties with regard to alcohol and driving is important. If the party includes alcoholic drinks (and they usually do), ensure your guests have a designated driver. Don’t have anyone who offers to volunteer to stay sober? There are other options that you can access. 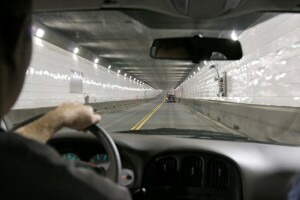 There are designated driver services you can find online at drinkinganddriving.org or through AAA. 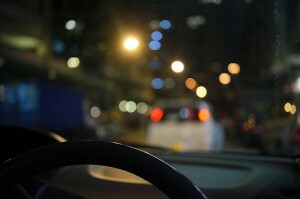 Another good choice is to take a taxi home. Do some research, as there are a few taxi services that offer special deals during the holiday season, with a free ride back to your car on the following day. If you are hosting a holiday party, you have a responsibility to your guests and their safety. An intoxicated guest cannot be allowed to get behind the wheel, and you, as the host, might be facing the challenge of seeing a guest that is obviously over the limit and wants to drive home. Put a plan in place in advance. You can make it fun by gathering car keys as your guests arrive unless they have a designated driver in their group. You set the tone, and let everyone know you won’t be allowing anyone to drive home drunk, and that you have a designated driver service to contact. It would be terrible to experience the guilt of allowing a guest to drive off who was later killed in an accident, or who caused a crash in which others were injured or killed. If you register at .08 BAC or higher in Michigan and are pulled over, you will be facing a DUI charge. You may believe that you haven’t consumed enough alcohol to be over the limit, but in fact, you need to wait at least 45 minutes per drink for the alcohol to dissipate. At .05 BAC it can take up to 2 hours for the alcohol to leave your system. Women reach a higher BAC level faster than men, and more of the alcohol enters the bloodstream. Planning a “girl’s night out?” Help your friends avoid serious legal consequences and arrange for a sober ride home for everyone, or plan for at least a one and half hour wait – for just two drinks – before getting behind the wheel. The truth about BAC is that you are better off not driving at all to your holiday party, get-together or night out on the town. There are high numbers of fatalities and severe injuries in Michigan that are the result of alcohol-related crashes. The numbers for the state from michigantrafficcrashfacts.org reveal that in 29.9% of the crashes, the driver of the vehicle had been drinking. On holidays, the numbers of drivers on the road that have consumed alcohol is even higher, and even with an increased police presence, the potential for a serious or fatal crash is very real. This chart was sourced from michigantrafficcrashfacts.org. It is important that you are aware of the increased dangers on the streets, roads and highways if you are driving during the holiday season, particularly in the evening hours. Defensive driving is vital at any time, but over the holidays, it’s even more so. Assume that there are many drivers on the road who have been drinking, and maintain a distance between your vehicle and others. If you are being tailgated by any other vehicle, pull over and call the police. You could save a life by reporting a DUI driver to the police before a disaster occurs. A drunk driver that causes an accident that leads to injury or death will be facing serious legal repercussions. Not only will he or she be dealing with felony DUI charges, a civil action or insurance claim can be filed by a drunk driving car accident lawyer in Michigan. These actions will allow the injured or family to recover damages, for both economic and non-economic losses. Driving drunk is a crime, but the emotional devastation that families suffer when a loved one dies or is seriously injured over the holiday season, or any time of year, is unimaginable. Make your holiday season a happy one, and help everyone stay safe. 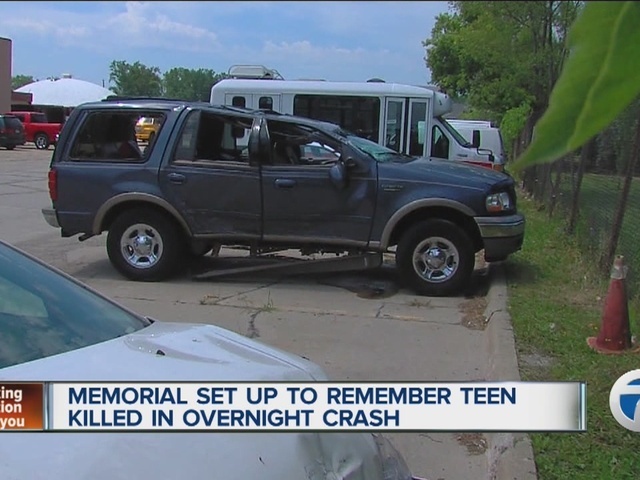 July 26, 201 – ROSEVILLE (WWJ) – Roseville police say a 16-year-old girl was killed and six other teenagers, along with an adult, were injured in a tragic early morning accident. The incident unfolded just after 12 a.m. Saturday on Little Mack Avenue and 12 Mile Road, east of I-94 in Roseville. According to police, the teenagers were in a Ford Explorer, traveling northbound down Little Mack Avenue, when the driver apparently disregarded a red light and was struck by a westbound traveling vehicle. Police say the 16-year-old, a girl from St. Clair Shores, was sitting in one of the Explorer’s rear passenger seats and not wearing a seatbelt. She was ejected from her seat within the vehicle and declared dead at the scene. Other passengers in the Explorer, including six teenagers and an adult, all suffered varying degrees of injuries and were transported to local hospitals. Four teens and the adult were treated and released, with the other two teens admitted in temporary serious condition with non-life threatening injuries. The driver of the other vehicle involved in the crash, a 33-year-old Clinton Township woman, was not injured. She was however arrested at the scene for operating her vehicle while intoxicated. She is currently being held in the Roseville Police Department Jail. The incident remains under investigation. The case is expected to be turned over to the Macomb County Prosecutors Office on Monday, to determine the extent of the charges. “The thoughts and prayers of the men and women of the Roseville Police Department and the entire City of Roseville are with the family of the victim of this morning’s tragic accident,” Police Chief James Berlin said in a statement. It was a frigid Friday night as Melinda Weingart, a Troy police officer, approached a black pickup that hit curbs three times before driving onto the snowy median. What she heard next was unexpected. “Mindy, it’s me — Candace,” a woman shouted from behind the wheel of her 2013 Dodge Ram. “I immediately recognized the pickup driver as Candace LaForest, a felow Troy Police Officer,” Weingert records in a three-page case report on the midnight traffic stop Jan. 18. Her report and 34 other pages of investigative documents were obtained Thursday afternoon by Deadline Detroit in response to a Freedom of Information Act request. They provide a look at a drunk driving arrest that is far from routine and reflect a no-favoritism approach that contrasts with “courtesy rides” home in selected cases by some suburban or small-town police forces during past eras. Three sergeants, a lieutenant and a captain became involved with the Jan. 18 arrest of Troy Police Office Candace LaForest, 34. After Weingart drove her colleague to police headquarters for processing, Capt. Robert Redmond — responding around 12:30 a.m. after a lieutenant called his home — had to coax the sobbing suspect from the patrol car. “She was curled up against the driver’s side door, crying heavily,” the captain writes in a two-page report for the file. “She began asking me to ‘please just let someone drive me home.’ I told her that she was under arrest for drunk driving and that she was going to be treated just like every other citizen that gets arrested. In an apparent attempt to let her body metabolize some of the alcohol, LaForest — who had refused roadside sobriety checks and a portable breath test — agreed twice to take a Breathalyzer test and then backed out each time after a legally required 15-minute observation period. Around 2 a.m. that Saturday, Sgt. Nathan Gobler faxed an affidavit to a 52nd District Court magistrate on weekend duty and got a search warrant at 2:52 a.m. to draw two vials of blood. A paramedic took those samples in an ambulance outside the Troy lockup at 3:38 a.m. — more than three and a half hours after the eastbound Big Beaver traffic stop. 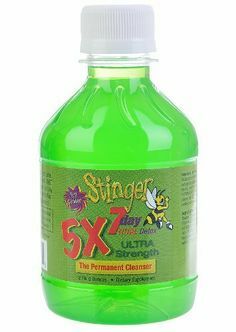 Even with that lag in measuring her intoxication level, a Jan. 23 report shows the Michigan State Police lab in Lansing measured 0.27 grams of alcohol per 100 milliliters of blood — more than three times the legal limit of 0.08 to drive. So LaForest, who’s on administrative leave, is charged under Michigan “super-drunk” law. At the time, as LaForest told Officer Weingart, she was heading home to Macomb Township from Norm’s Field of Dreams, a sports bar and grille on Rochester Road, less than two miles from her arrest. “She advised me she had been there with a friend she knew ‘from hockey,’ ” the case notes say. Seated in the back of her colleague’s patrol car after being frisked (she was unarmed), LaForest “mentioned her recent divorce and told me she was just trying to get through the divorce,” writes Weingart, who refers to her co-worker as Candace Rushton, presumably her maiden name. LaForest, arraigned last week, is free on $1,000 personal bond. Her case is transferred to Novi District Court because Troy judges know her. The situation “is very uncomfortable for the officers and civilians who work with her,” acknowledges Sgt. Andy Breidenich, the department’s public information officer. Troy has about 90 officers and roughly 40 support personnel. Asked about the time when fellow officers and sometimes departments might shield a colleague’s missteps behind a “blue wall of silence,” Breidenich said: “The culture has changed in law enforcement as we’ve become more professional. We’re also more visible to the public now with the Internet, social media and in-car cameras. A similar perspective comes from John Courie, a western Wayne County attorney who is a professor at Schoolcraft’s Criminal Justice Academy. His experience includes serving as a Macomb County chief assistant prosecutor and Detroit police commander. “Command officers must reinforce to officers to put loyalty to the badge and the public above loyalty to all else, including misbehaving colleagues,” Courie tells Deadline Detroit by email. Courie, whose students include aspiring officers, contrasted the Troy case with seemingly lenient treatment of Detroit Councilman George Cushingberry when he was stopped Jan. 7 outside a club in that city and released with a ticket despite marijuana odor and an empty rum bottle. Before you get behind the wheel after having too much holiday cheer over the next couple of weeks, be warned. There’s a nationwide crackdown on impaired driving, and local police will have no trouble issuing reminders. Along with representatives from law enforcement, Mothers Against Drunk Driving and the Governors Highway Safety Association, Transportation Secretary Anthony Foxx and National Highway Traffic Safety Administrator David Strickland earlier this week kicked off the annual holiday crackdown on impaired driving. “With the help of our law enforcement partners, we’re sending a message across the country, today and throughout the holiday season – Drive Sober or Get Pulled Over,” Foxx said in a statement. At the same time, the NHTSA released new guidelines on ignition interlock programs to help states develop and implement a breath-alcohol ignition interlock program, and most notably, it calls for an interlock intervention for first-time DUI offenders. “With the release of our model guidelines for ignition interlock programs, we’re helping states improve their efforts to enforce safe driving among convicted offenders,” Foxx said. The Detroit News noted that all states employ interlocks in some fashion to keep DUI offenders from driving drunk. But only 20 states and four California counties require an interlock — an onboard Breathalyzer-type device that keeps a vehicle’s engine from starting if it detects alcohol in the user’s breath — in the cars of every convicted drunk driver. Deaths in crashes involving drunk drivers rose 4.6 percent and claimed 10,322 lives in 2012, compared to 9,865 the year before, according to the NHTSA. The agency added that the majority of those crashes involved drivers with a blood alcohol concentration of 0.15 or higher — nearly double the legal limit of 0.08. During last year’s holiday season, 830 lives were lost in drunk driving crashes, the agency said. Over the past decade, nearly two of every five deaths (41 percent) that occur around New Year’s Day and Christmas (37 percent) were because of alcohol impairment. 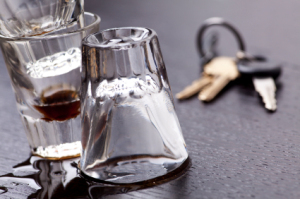 Last year the National Transportation Safety Board proposed lowering the national limit for blood alcohol content from 0.08 percent to 0.05 in an effort to reduce alcohol-related road deaths. But the NHTSA and MADD both declined to support the NTSB’s stance, and NHTSA said it was “premature” to recommend a lower limit because it didn’t have data to support the conclusion that there would be a drop in deaths. The campaign and accompanying law enforcement crackdown started Dec. 13 and runs through Jan. 1. It’s supported by $7.5 million in national ads on TV and radio, and NHTSA’s “Drive Sober or Get Pulled Over” message will also be featured in a new public service announcement featuring the title character from the upcoming remake of the movie “Robocop” that will be in theaters in February. Last Call at 4 a.m.? Legislation would allow some Michigan bars, restaurants to serve alcohol later. The bill (SB 247) wasn’t voted on today, but is expected to be taken up again in committee in the coming weeks. If approved, businesses would have to purchase an after-hours permit for $10,000 each year.